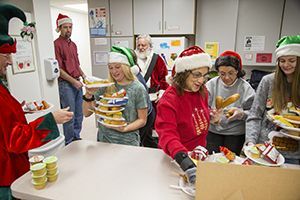 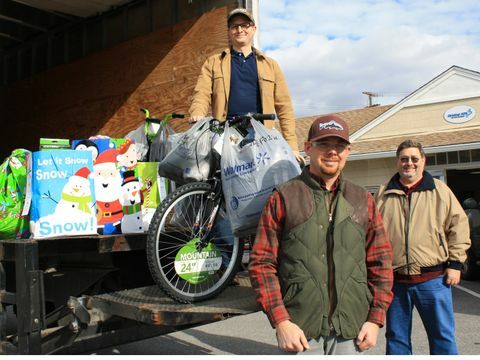 With the holiday season in full swing, employees located across the country are giving back to their local communities. 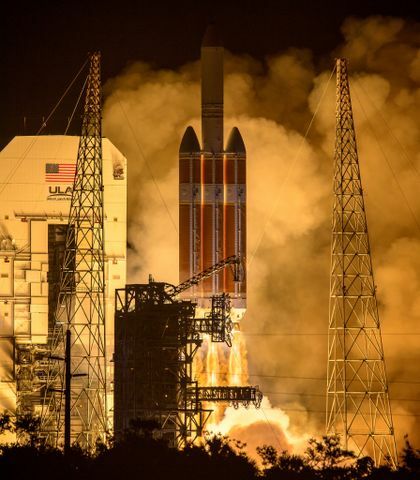 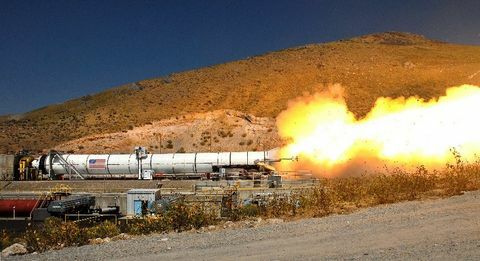 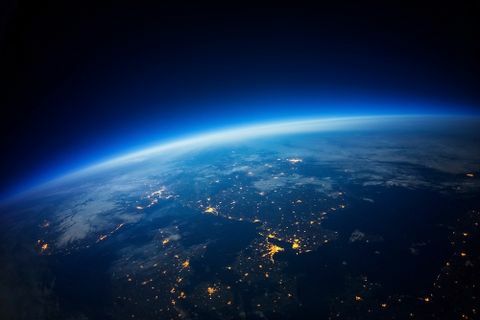 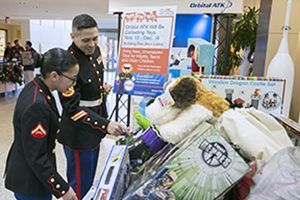 This year, employees embraced Orbital ATK’s Mission, Vision and Values to make worthwhile contributions to the quality of life in their local communities. 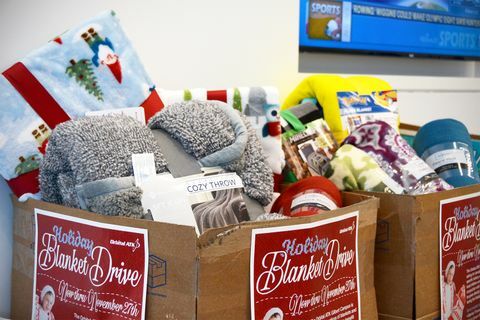 Take a look at what our employees are doing this year. Employees in our Gilbert and Chandler, Arizona locations got in the holiday spirit by donating to local charities including the U.S. Marine Corps Toys for Tots program and Flight 33, a local charity dedicated to helping local children with basic needs. 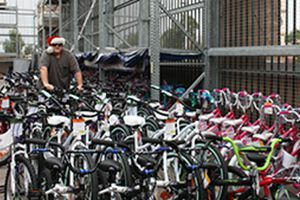 Chandler, Arizona, employees also bought gifts for 126 children through the Christmas Angel program, and also donated $15,500 toward the bike fund. As a part of the Wreaths Across America program, Chandler-based employees donated 150 wreaths. 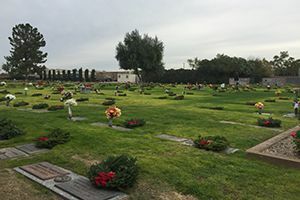 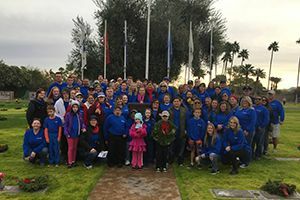 On December 16, more than 80 employees and family members volunteered to lay wreaths at the Valley of the Sun Cemetery. 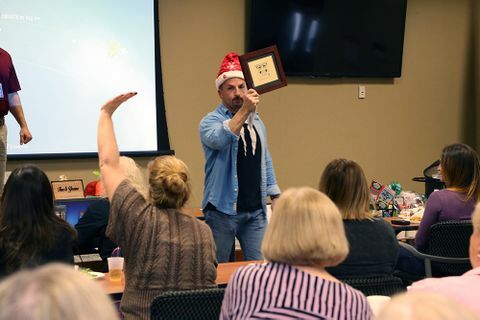 Our Elkton, Maryland, facility raised $7,000 for local charities during its annual Bunny Martin Charity Auction. 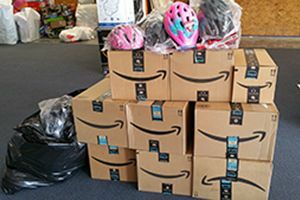 Proceeds from the auctions will benefit local charities such as the Ray of Hope Mission Center, Union Hospital Cancer Resource Center, and the YMCA. 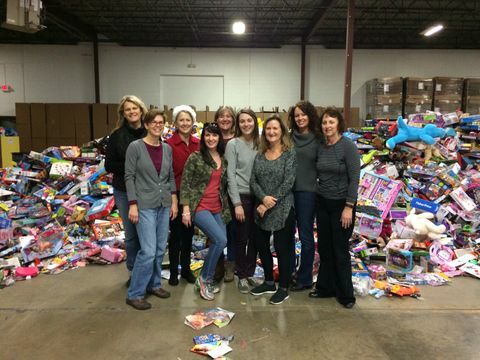 Employees from our Minnetonka, Minnesota, offices volunteered to sort donated toys with their local Toys for Tots charity this holiday season. 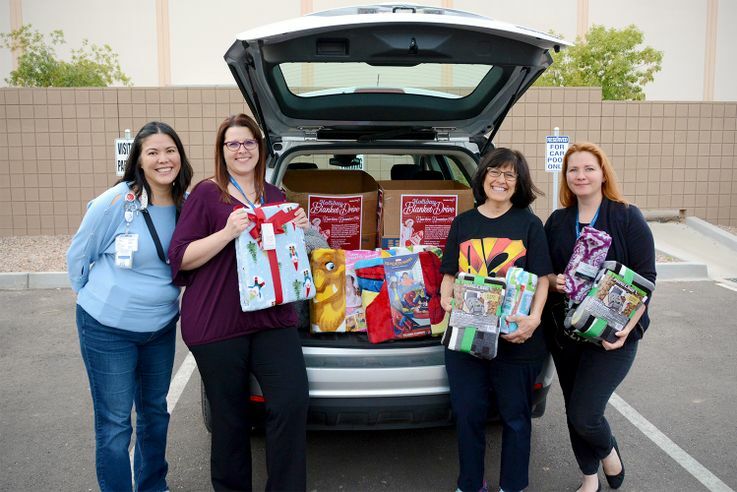 Employees at our Bacchus, Clearfield, and Promontory, Utah, facilities joined together to support Toys for Tots, as well as a few local charities. 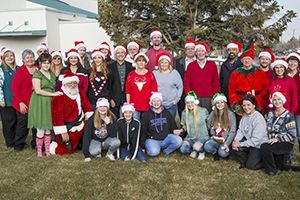 In addition to toys, the facilities also donated shoes, socks and other necessities to the New Hope Crisis Center in Brigham City. 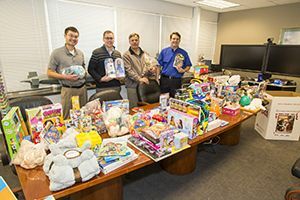 Employees in two of our Virginia offices donated gifts, toys and time to local charities. 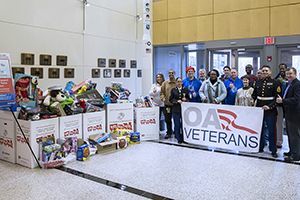 This year, our Dulles facility filled a total of 13 boxes with new toys for the Toys for Tots program. 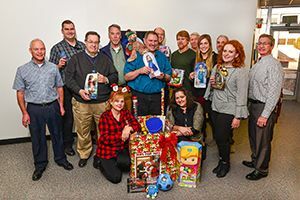 Employees at our New River Energetics facility in Radford participated in the Angel Tree program for the sixth consecutive year, collecting gifts for 50 local children. 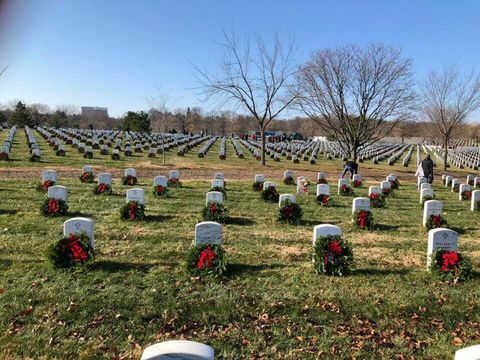 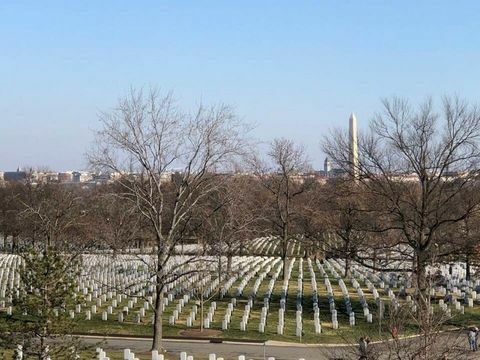 Dulles-based employees also participated in Wreaths Across America, laying wreaths at Arlington National Cemetery on December 16. 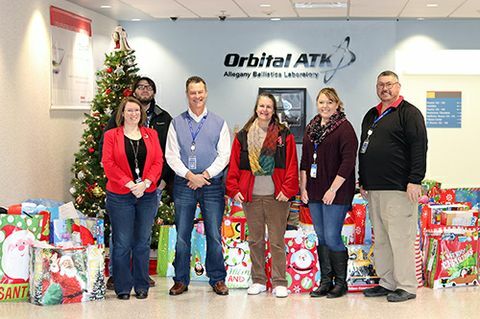 Employees at our Allegany Ballistics Laboratory in Rocket Center, West Virginia, raised $9,800 for Toys for Happiness, and also donated gifts for 80 children through the local Angel Tree program.